WASHINGTON — It’s spring. Bugs are on the move. Nuisance critters such as stink bugs and ants don’t pose a danger to your home — but wood-eating termites can cause serious structural damage. “When the weather warms up in a few weeks, we will begin to see termite swarms outdoors in particular,” says University of Maryland College Park Professor of Entomology Mike Raupp. Inside where temperatures are warmer than outdoors, evidence of termite infestation may manifest earlier when they begin to swarm, Raupp says. “If you have winged termites inside the house, they will be very apparent,” Raupp says. Termites also can live hidden in a house’s walls, sill plates or joists until a home inspector reveals their presence. 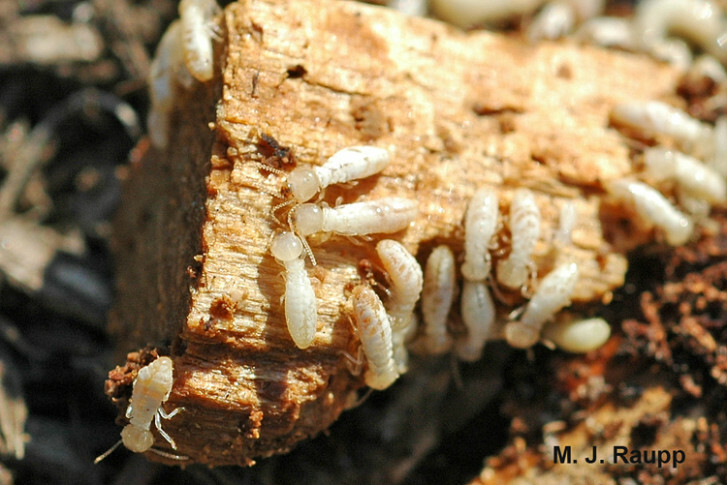 The wood eaters pose such a potential threat, a termite check is part of home inspections required region wide before a home can be sold. If termites are detected, Raupp suggests you take immediate action. “That’s the time that you want to seek help from a professional exterminator. These guys are extraordinarily damaging to structures,” Raupp says. Termites can look very similar to winged ants, but Raupp says there’s an easy way to tell the difference. “Termites have what we call a wide waist. Where their abdomen joins their body is very thick — they are wide-waisted, whereas ants are what we call narrow-waisted,” Raupp says. Winged termites and ants also have different antennae. Termite sensory organs are straight while ant antennae are bent as if equipped with an elbow.